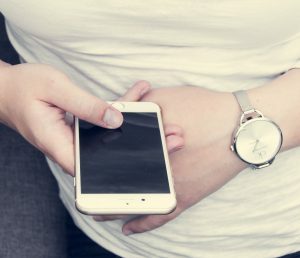 With more than 2.6 million apps on Google Play and 2 million on the App store, it seems that almost all businesses have their apps for mobile phones. From restaurants to hair salons and pet groomers, everyone seems to be trying to find their place on the mobile app market. Making an app and gaining traction with customers to bust your business seems like a good idea, and since consumers spend a lot of their time on mobile devices (92% using apps), investing in what people actually use can pay off. However, there are some things to take into consideration if you are considering making an app for your business. There are many platforms which give easy and cost-effective access to apps, and this can mean a lot if your business is just starting. If you want to start big, you can hire a team of developers who will finish the job professionally and effectively. You should also have in mind that apps require a lot of updates and maintenance, and if you want your app to be used regularly, this is something that simply needs to be invested into. (Some researches have shown that almost 80% of apps are no longer used three months after the installment, and 23% of them are used only once). Here are some questions to consider before investing in an app for your business. If you answer ‘yes’ to any of them, developing an app for your business might be a good idea. 1. 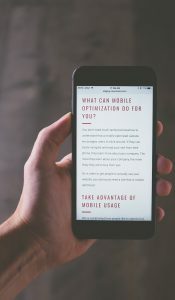 Is your web page optimized for mobile devices? Responsive web design is crucial both for website SEO and users’ experience on mobile devices. However, a lot of people who own small businesses do not recognize the importance of responsive web design and lose a lot of traction because of this. If you are one of them, consider investing in optimizing your web page first, and then invest in the development of an app. 2. Does your competition have apps? Do a research your competitors. If they have mobile apps, check how they are rated on the relevant app stores. If their apps are received well by consumers, the user reviews and downloads are going to show it. If it looks like your competition is getting a lot of traction from those apps, consider offering your customers an app which has improved functionalities and additional features. Learn from their mistakes and make improvements, so you don’t fall behind. 3. Do you take advantage of user-generated content? Consider whether you need a functionality which lets your customers share content, like photos or videos featuring your products on various social media platforms (Facebook, Instagram, Twitter). This can help spread your brand and products on the online market and help increase your online presence. 4. Does your app solve a problem? Try to think about what the app can offer to your customers that your mobile-optimized web page cannot. If it does not give any additional convenience or functionality, it will be difficult to appeal to customers. Aiming for a “wow” factor when developing an app is the way to go.